Authored by epriestley on Jan 25 2019, 5:52 PM. Depends on D20033. Ref T13222. Flesh this UI out a bit, and provide bit-strength information for TOTP. 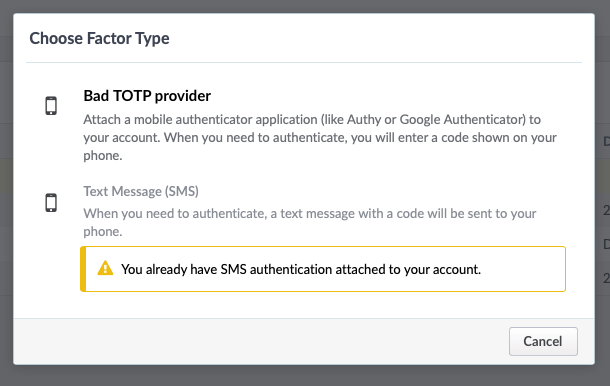 Also, stop users from adding multiple SMS factors since this is pointless (they all always text your primary contact number).